After receiving a Masters in judicial and social sciences he studied to become a lawyer. Since then, he has worked in several educational institutions and taught training sessions on criminal law process and legal rights as well as a course on training professors of law school. He has also been a professor of International private law at the law school of the Universidad Catolica del Norte. 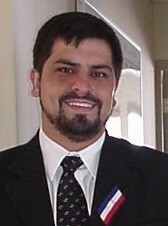 Alejandro has also participated in several seminars and courses during his academic and professional career. These include “the current fundamentals and trends of penal law”, as well as the “Fundamental issues of penal law; an analysis of the reform of the penal code”, both at the Universidad Catolica del Norte. Alejandro has worked as a defense lawyer for years and in several regions. He currently directs a team of professionals that includes five attorneys, two social workers and now psychologist. Together, they have developed social rehabilitation programs for the detained that have been charged with consumption of drugs. They have used this alternative outlet to the procedure as a conditional suspension of proceedings. This group, under Alejandro’s leadership, has also implemented psychological treatment programs for men who have committed violent crimes against their wives or children as well as programs to enable children who have dropped out of school to return to classes, as an alternative to getting in trouble with the law. Furthermore, he is currently the supervisor of 92 lawyers, a responsibility that requires him to ensure a high quality of defense. The Project: Under the Law of Adolescent Criminal Responsibility juveniles, between the ages 14 and 18, are guaranteed substantive and procedural aspects equivalent to adult offenders within the criminal justice system. The implementation of this new system of juvenile criminal responsibility was aimed to comply with international human rights standards, particularly those under the International Convention on the Rights of the Child. Furthermore, in 2000 a decentralized public service of the Public Defender was created. Under this the Public Defender’s Office has implemented a specialized defense for teens, which should meet certain standards of protection that are validated and whose performance is audited regularly. Among these standards is that of information, by which it is intended that the person is permanently and adequately informed of the facts of the case. Although a criminal defense specialist is guaranteed and despite the will of the defenders, there are countless obstacles that result in the requirements of the accused to not be satisfied. One of the obstacles is that there is a large population of juveniles in detention centers who frequently do not have an adequate understanding of their legal situation. Furthermore, many of the advocates who specialize in adolescent criminal responsibility don’t meet the demands that are required. This in addition to the administrative bureaucracy within the detention centers leads to a lack of communication that must exist between the defender and his client. The Innovation: As head of the research unit, Alejandro has learned that even if juvenile detainees are regularly visited by their advocates, the time alone is not enough for the juveniles to accumulate the amount of information required before trial. Additionally, juveniles tend to have higher levels of anxiety in these situations, which leads them to require more personal attention. The implementation of his project created an opportunity for fluid and permanent communication between the defender and the juvenile through online counseling once a week. This complements the in-person interviews carried out by specialized juvenile defense advocates that are allowed every fifteen days in the temporary detention centers of the region.